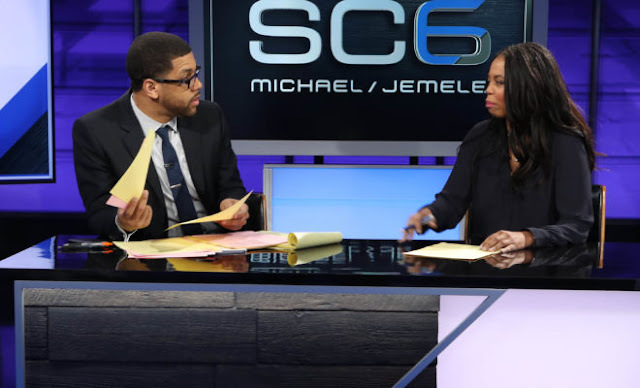 Jemele Hill will be leaving SC6 with Michael and Jemele and will take on new duties with ESPN as a writer for The Undefeated and an on-air commentator. Michael Smith, who together with Hill has hosted the 6 p.m. ET weekday SportsCenter program since last February, will continue as host of SportsCenter. Hill and Smith will anchor their final SC6 together on Friday, Feb. 2. 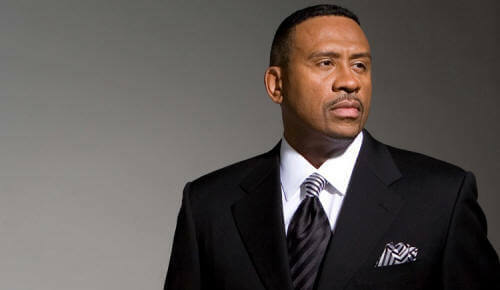 Hill recently initiated discussions with ESPN executives about exploring new responsibilities within the company. “There is an old adage that says, the heart wants what it wants,” said Hill. “I started at ESPN 11 years ago as a columnist and while I have worn many hats in the time since, my true love always has been writing, reporting and commentary. While I have grown in every way imaginable this last year on the 6 p.m. SportsCenter, deep down I knew it wasn’t my calling. I approached (ESPN Executive Vice President, Content) Connor Schell recently and asked if they would consider re-thinking my role. And as has been the case throughout my 11 years at this company, ESPN graciously worked with me to determine the best way for me to continue to do meaningful work. “My first choice was to work with The Undefeated, a site that covers the intersection of race, African-American culture and sports in creative and compelling ways,” she said. “I admire, trust and have unconditional respect for (ESPN Senior Vice President & Editor-in-Chief) Kevin Merida and The Undefeated staff. I have no doubt we will create amazing content together. I’m also thankful to Connor for not only hearing my request, but being immensely supportive throughout this process. I have longed for some time to return to my roots, so to speak. I’m ecstatic to be in such a supportive environment to explore the next phase in my career. Hill, who started her career as a daily newspaper writer and reporter, will become chief correspondent and senior columnist for The Undefeated, ESPN’s content initiative exploring the intersections of sports, race and culture. Her duties will include writing columns, conducting interviews with high-profile athletes and serving as host for events and other initiatives of The Undefeated, including town halls and television specials. Also for ESPN, Hill will do occasional pieces for E:60 and will provide perspective and commentary for programs such as SportsCenter, Outside the Lines, Around the Horn, Highly Questionable, Pardon the Interruption and various radio programs and podcasts produced by ESPN Audio. SC6, which began Feb. 6, 2017, has undergone recent format changes, according to Norby Williamson, ESPN Executive Vice President, Production and Executive Editor. Smith and Hill first met during their newspaper days. Initially paired on ESPN Radio’s His & Hers podcast in 2013, the duo then began hosting together on television later that year, with the program re-launching as His & Hers in November of 2014.